What are AdWords? What is AdWords impact in boosting a website or blog? is true advertising network displaying and adhering to campaign rules and filters , They have thousands of advertisers and equally good number of networks that display their ads. The advantage with AdWords campaign is they charge only for clicks (PPC) and not for ad impressions. AdWords started as a great tool to advertisers to promote their brand, to sell their products and services to targeted audiences. AdWords spend is an investment for future returns but not for immediate yield either in terms of ad revenue or product sale or conversions. AdWords populates the website or blog or product or service to millions of people through ad impressions. There are many hurdles the advertiser has to cross through before the end-user clicks on the advertisement or ad impression to reach advertiser’s webpage. How many really click the ad impression to start with is a billion dollar question. A 100 thousand ad impressions may get few hundred clicks before the visitor reaches your website or page. One can use AdWords campaign as a tool to search engine optimization. Experts and publishers use AdWords to check the insights of their clients websites through ad campaigns to optimize the clients advertising campaigns. Read more of AdWords impact for SEO of a website or blog. To optimize AdWords campaign look at following 5 important points and optimize targets. Carefully analyse the end results you want while setting the ad campaigns. AdWords campaign set up gives you number of choices and alternatives to test and carry out a successful ad campaign.. Remember AdWords investment will not give immediate benefit to beginners but a long-term plan for website popularity and then traffic followed by loyal visitors and conversions. With proper planning AdWords will enhance website popularity and improves traffic over a period. This keyword idea tool from google AdWords gives great ideas to decide your niche keyword to choose and try to optimize your blog post or webpage with that keyword. Tip: Look for a keyword or phrase with less competition and high volume ‘search keyword’ and optimize your post for that keyword to get better index and page rank. Point 2. Geographic place: Choosing right geographic place is very important while planning AdWords campaign. Selecting geographic locations depends on the niche of your blog or website. If the product or service developing a brand name in a particular place choose place-based country. If you strongly believe that you have strong audience base from a particular location concentrate your ad campaign in that area. Point 3: . 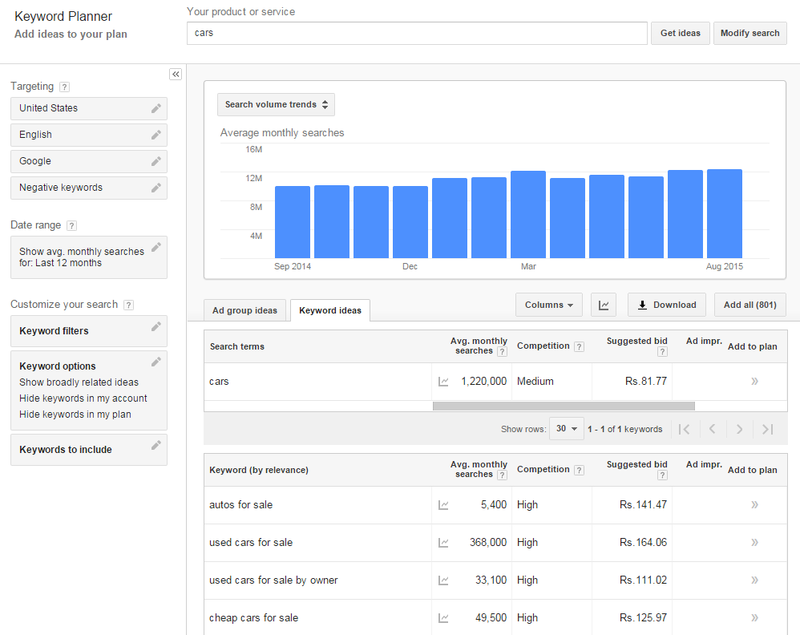 Concentrate on Keywords: While choosing keywords AdWords offer four types of keyword selection. Point 4: Caution in choosing keywords: If want to gain most out of your budget for AdWords campaign choice of keyword is important. For beginners the best practice is to choose exact match keyword and choosing only search networks. Point 5: Out of many online advertising campaigns on the internet the bet choice is undoubtedly is AdWords. But AdWords only offers ad impressions. 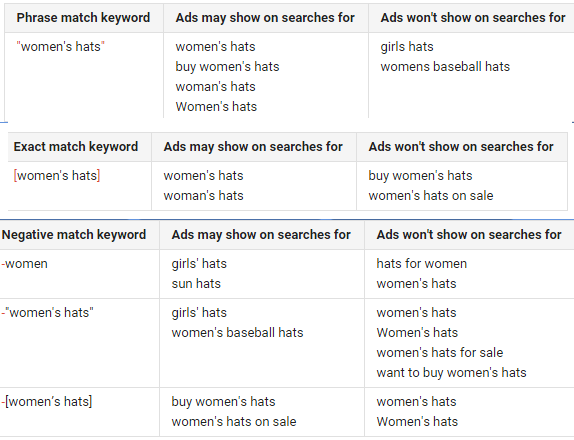 These ad impressions will appear above the generic search folder of search results for search network campaigns depending on the bidding, budget and planning. The advertisement appears on many display networks if you choose the campaign for search and display networks.The success of a AdWords campaign really depends on keyword selection, killing title, short and catching description, call of action in the description and many more factors. AdWords advertising campaigns is a very wide subject and there are entrepreneurs earning six figure income setting up AdWords campaigns for their clients. Will zero gravity affect the brain? What NASA research say?